This prime position las Mimosas Villa has been independently built to an extremely high standard. The quality of the build and the internal presentation is exceptional and can only really be appreciated by viewing. The versatile accommodation currently has four bedrooms plus a study or 5th bedroom (with en suite!) There are two sitting and dining rooms both with a fabulous fully fitted kitchen. The private heated swimming pool, garden and terrace face directly south giving all day, all year through sunshine. 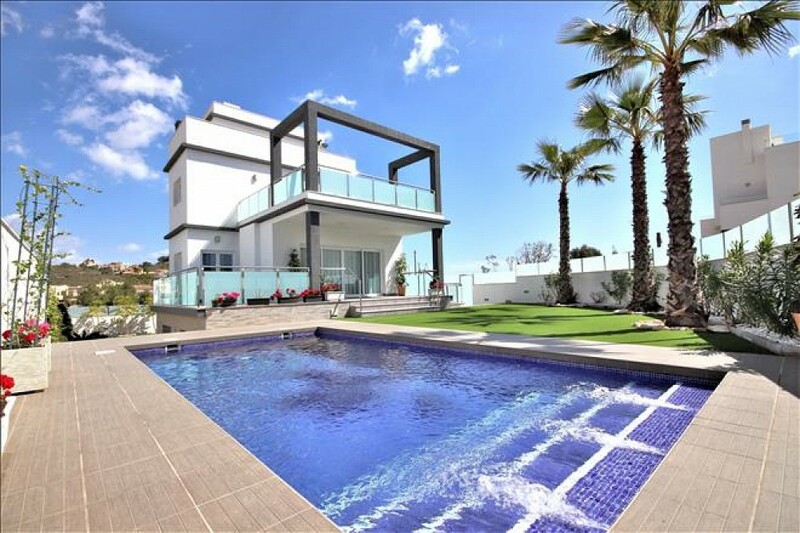 Centrally located the villa is within walking distance of most of La Manga Club Resorts amenities.